ADD them to your cart today and make your family's next trip restful and fun for everyone. TRAVEL FOOTREST, LEG REST AND LEG EXTENSION: 3-tier, 2-chamber, easy to adjust heights will work for most cars and SUVs. Provides proper legs support so child's little legs and feet get better blood circulation. NO MORE swollen feet. EASY-TO-INFLATE, LIGHTWEIGHT, PORTABLE, OUTDOOR READY: Lighten your travel bag. 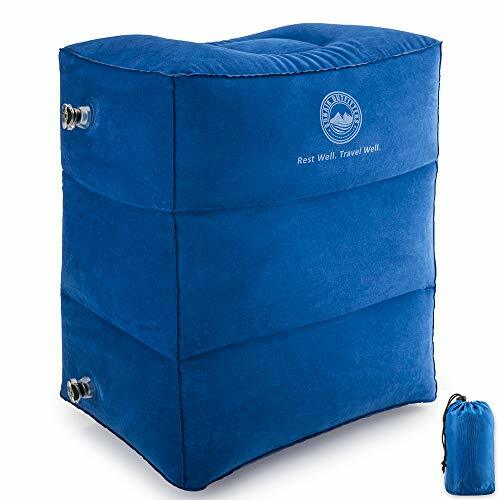 Footrest inflates to (17.3 " x 15.4 " x 9.4 ") weights only 12 oz. and folds up easily into included carrying pouch. If you have any questions about this product by BONAIR OUTFITTERS, contact us by completing and submitting the form below. If you are looking for a specif part number, please include it with your message.